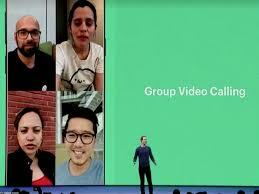 WhatsApp has introduced the video calls for the users and now 4 people can use the video call at a time. This feature of the video call was introduced in the beta version and company was testing this app. Now WhatsApp rolled out the stable build of the messenger of WhatsApp. It is easy to use the video / voice call for four people and this new update is provided to the users to download it for iPhone and Android users. It is just like the next messages, which are sent to WhatsApp and your calls will be end to end encrypted and you and your recipients will be able to listen it in the call. You will use the encrypted keys stored in the devices, which are used by you and your chat partners. 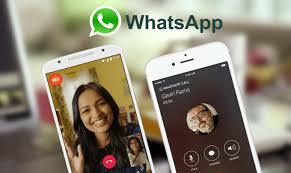 WhatsApp says that the new videos calls have been optimized in order to work under the different network conditions. The messaging app gets the maximum number of monthly active users and it also serves as default messaging app for various smart phone users all over the world. 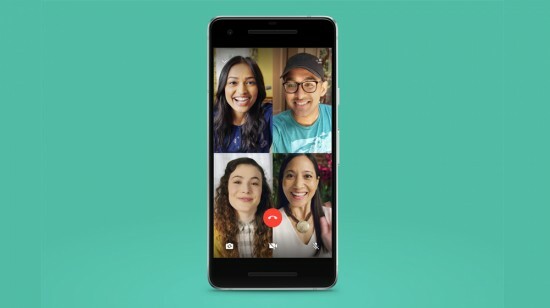 People had to switch to other apps including Skype to have the group video call and the new feature will help WhatsApp to get its active users and it can increase the overall market share.